Belly Bandit is specially designed for women, keeping the post-pregnancy phase in mind. You can comfortably wear these seamless creation undergarments providing a comfy hugging fit. The latex-free, smooth materials and tag fewer designs do not cause any irritation on the skin. Belly Bandit delivers support during breastfeeding, improvement in posture, supports legs and back, reduces discomfort, aids in losing inches faster and provides an instant slim look. There is a continuous sizing issue during pregnancy as your belly is growing continuously throughout the nine months period, so you need to be very specific before buying any Belly Bands. Correct sizing is essential for product effectiveness and comfort. It is advisable not to size before the 8th month to ensure accurate sizing. If you buy a Belly Bandit which is too large, you will not be able to wear it comfortably under clothing, and it will also affect the desired results. When you are trying the Belly Bandit for the first time, you should notice that the ends should not touch. If you can close the Velcro, it means the Belly Bandit is too big, but if the ends of the band are 2-3 inches away from each other, then you are not supposed to exchange it for a larger size. Place your band beneath you and lay down flat on the floor and try closing the Belly Bandit on your own or take help from your partner. If you feel that your band is very tight, start wearing it for few hours each day, and you will notice a change in your size. There is no exact calculator or science which can tell the precise measurements of how to fit the Belly Bandit on each. However, there are some helpful tips that you should keep in mind. You should buy the Belly Bandit 1-2 sizes above your pre-pregnancy waist size if you plan to buy one during your early pregnancy phase. Post-pregnancy sizes and the 8th month of gestation usually are the same sizes, so the easiest way is to measure the tummy around the most prominent part which is generally in the belly button region. Before giving birth to the child, subtract 4-5 inches from the belly measurement and buy the band according to the corresponding size. Designing of the Belly Bandits is in such a way that they allow adjustability of around 5-6 inches to remain tight as you shrinks. Every individual has a different body size after giving childbirth; you should keep in mind the swelling, bloating and other effects. No one can tell you that what exact size you will fit in so don’t expect to know this from us. Many customers prepare themselves by purchasing two Belly Bandits because they may shrink out in the first Belly Bandit quickly which may be the best move. You should buy the belly bands according to your mode of delivering a child. There are different Belly Bandits for each way of delivery. We have highlighted main categories of delivery and the best product for it accordingly. After C-section, many mothers have concerns related to their physical appearance and post-surgical healing due to which they start wearing belly bands which help them in postpartum recovery. Belly Bandits are used after C-section to avoid belly flap development around the scars and also contributes to flatten the stomach. Belly binding encourages the correct placement of organs back to normal as the pre-pregnancy shape. It is also believed that belly binding helps the new mothers in toning and strengthening the abdominal muscles which were separated during pregnancy. However, you should consider that belly binding with non-sterile coverings may lead to infection at the site of the surgical incision along with increased pain and discomfort. The bamboo belly bandits are unusual with antibacterial and antimicrobial properties for moms who have undergone C-section. It is moisture wicking in nature due to which it helps the women during the periods when the hormones are returning to normal. It is advised to apply stretch mark creams or lotions before you wear your Belly Bandits on the C-section incision. We recommend Abdominal binders after C-section for a speedy recovery. It is an elastic belt applied around the stomach to support the abdominal muscles and promote healing by keeping the bandages and stitches in place over the incision site. An abdominal binder improves blood circulation around the incision and supplies oxygen continuously to the incision which promotes healing. Abdominal binders assist you to walk, stand and perform all your daily activities correctly. Some people believe that abdominal wrapping after standard delivery provides stability and support to the individual’s body during the intense healing period after childbirth. Some think that it may cause pressure on the floor and core of the body which may be harmful. The body requires Belly Bandits after pregnancy because the body loses support due to the laxity of the joints and stretched abdominal muscles. Belly Bandits provide support, stability, recovery, and healing after the vaginal delivery. Every individual has a different body size, and there are multiple factors you need to consider before you size yourself as post-pregnancy. 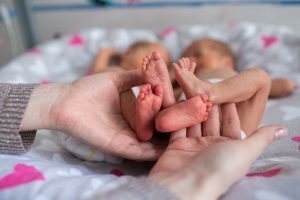 It depends on whether you will go for breastfeeding or not, the amount of physical activity you will perform, whether you are having a C-section or vaginal birth. If you are having a C-section, you should buy a larger size of Belly Band as the C-section will result in swelling. According to our doctors and testing, it is suggested that the best time to measure the tummy size is during the 8th months of gestation, i.e., 31-35 weeks to get the proper size after delivery. 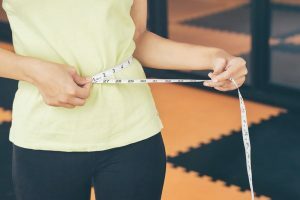 If you are late and measure the waistline in your nine months, i.e., during 36-40 weeks, it is advised to subtract 4-5 inches of belly fat to achieve the appropriate size. According to medical science, there is no proof telling that you should wear pregnancy belts during any trimester of gestation. Belly Bandit Upsie Belly is an all-rounder, and you can use it in all the three trimesters of pregnancy. If you are buying Belly bands during the initial phase of your pregnancy, then buy 2-3 sizes larger than the pre-pregnancy size. Pregnant ladies start adopting different postures which result in hip pain and sciatica which is the pain and tingling sensation in the hip area. In both the conditions, it is advised to wear the Belly Bands. During the first trimester take care of yourself, drink 8-10 glasses of water daily along with it Folic acid and vitamin supplements. Pregnant ladies who are working women have advised wear Belly Bands because it softly compresses the abdomen providing support to the uterus. Pregnant women who are in their late second-trimester or the start of third-trimester waddle instead of walking as they have gained weight, which affects the posture. This extra weight applies pressure on the ligaments, joints, muscles resulting in lower back pain. Round ligament pain arises during the second trimester with acute pain or a dull ache in hip, abdomen or groin area. The pain intensity may increase due to the rapid movements or position changes in pregnancy. Many women experience pelvic pain along with lower back pain during pregnancy, so it is advisable to wear a belly belt which distributes the weight equally and reduces the pain in lower back joints, ligaments, and muscles. As your weight and belly grow you require something which will provide support to your extra weight. Belly Bandit is a durable and the most sturdy band. It is comfortable and comfortable to wear while sleeping, shopping or doing the workout. It keeps the belly off the bladder and provides extra support. Moreover, it relieves the lower back pain and round ligament. The sacroiliac joint which is situated in the pelvic area on either side is responsible for maintaining stability and shock absorption in the lower back region. 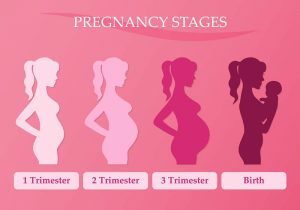 Specific hormones are released during the third trimester which stretches and loosens the connective tissue like joints and muscles in the pelvic and hip area to carry out natural labor. The Sacroiliac joint becomes unstable and loose causing extreme mobility and pain. So, during pregnancy, if you wear a Belly Belt, it will assist in stabilization of Sacroiliac joint and helps in reducing the pain. Stretching leads to weakness of joints, ligaments, and muscles during second and third trimester but especially in the third trimester because your hormones are released, and you are about to deliver a baby, so it is recommended to wear Belly bands. 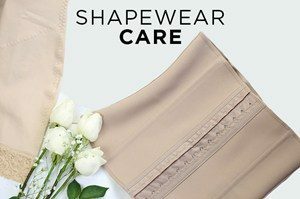 A postpartum belly band is an excellent option for any lady who has undergone standard vaginal delivery or C-section and requires additional support after giving birth to a child, and especially for those individuals who want compression on back, hips and tummy region. Postpartum girdles have numerous benefits for moms who have recently given birth to their children. 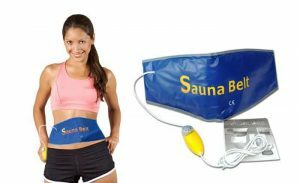 During pregnancy extreme pressure and pain is applied to the spine due to the extra weight, so a Belly band is advised which assists in straightening and recovering spine. A postpartum girdle helps to regain the uterus in the original position. It is an excellent way to appear slim instantly for those who are embarrassed by their post-baby weight and helps in compression of the fat cells by reducing further weight gain. Postpartum Girdle is also used for reduction of swelling and allows lymphatic drainage. If you want to buy a Belly Band post-pregnancy, then measure your present waist size and but the corresponding Belly Band. You can use belly bandit even if you have a C section because of it is surprisingly antibacterial and environmentally friendly. You should wear belly bandit within 24 to 48 hours after your delivery, whether natural or Caesarean, which can best help your post-operative recovery. Only with a healthy diet and regular exercise will it be possible for belly bandit to help you get back to your pre-pregnancy figure. You need to stick with Belly Bandit for 6 to 8 weeks to get a valid result. One month before your due date is the best time to purchase your Belly Bandit, as your stomach size at this point is the same as after delivery. If you only think of buying a belly bandit before giving birth, you ‘ll need to subtract 4-5 inches from your belly size at this time. Although an appropriate belly bandit is tightly wrapped around your stomach, it will not affect your health. Even if you ‘re not going to give birth to a child, you can use belly bandit to get enough support and the right posture. Belly bandit may also be used in other situations, such as hysterectomy, bowel resection, stomach surgery, back surgery, tummy tuck and liposuction. Belly bands are available in different styles and sizes for different pregnancy phases. They support the lower back and abdomen during pregnancy. It helps in reducing the bloating effect caused by water retention and reduces the uncomfortable pain associated with uterine swelling. It provides additional support to the ladies on their back and legs. Belly bands are also helpful in breastfeeding moms as they provide back support during feeding posture and alleviates the back and shoulder pain. Belly bands provide abdominal, hip and back support. They ease the leg pain. Sciatica and back pain reduces the uterus discomfort. Belly bands contribute to reduce the chances of hernias, varicose veins, and hemorrhoids along with it improve blood circulation.